The Dominica Labour Party (DLP) was formed in 1955 through the efforts of Phyllis Shand Allfrey, a white creole Dominican whose clever use of patois helped her gain a large labour following. it is the oldest political party in Dominica. In the 1956 general election, according to Vera Green and Charles Kunsman, the DLP won three of the seven races it contested. Patrick Emmanuel doubts the accuracy of this account, however, and suggests the first DLP electoral contest may have been as late as 1961, by which time Edward Oliver LeBlanc had been selected party leader. After weathering a split in the DLP in 1970, LeBlanc became premier of Dominica. He resigned that post in 1974 and was succeeded by John, Conflict returned to the DLP during John's semi-authoritarian rule. Although he became the country's first prime minister following Dominican independence in 1978, John and his government were forced out of power in June 1979 when most of his DLP parliamentarians and ministers withdrew in the face of national protest. Following his ouster as prime minister, John was charged with a coup attempt, and he was implicated in the March 1981 at­tempted invasion of Dominica by lawless elements from the United States, including klansmen. John's government was replaced by an interim coalition led by Oliver Sera­phine. In 1980 the party suffered a major defeat, seeing its vote share reduced from 50% to 17%, and losing all its seats as the Dominica Freedom Party (DFP) won the elections. The DLP was restructured in 1984 in an attempt to rekindle the reformist elements following the excesses and debacle of John's government. 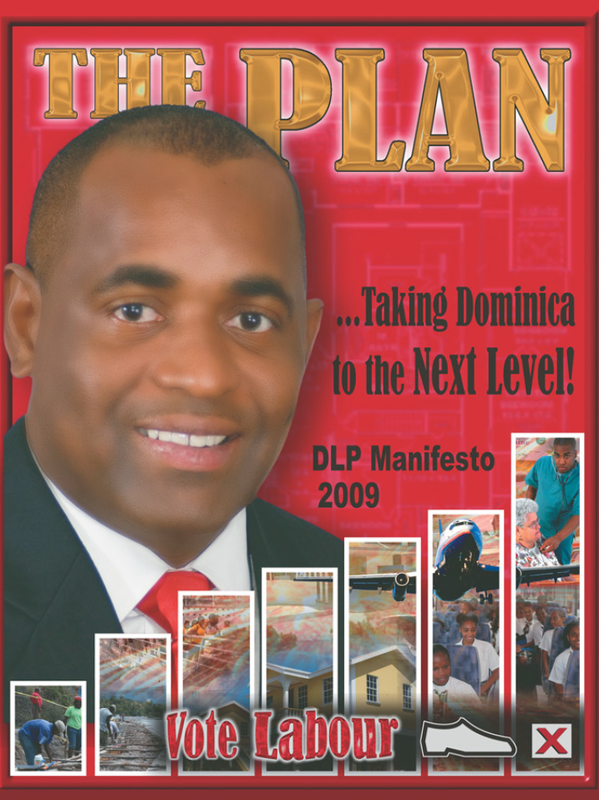 The present DLP was formed in early 1985 by merger of the pre-existing Dominica Labour Party (DLP), the United Dominica Labour Party (UDLP), and the Dominica Liberation Movement Alliance (DLMA). The restruc­turing of the party took place under the leadership of Michael Douglas; Oliver Seraphine; Henry Dyer, a former Dominica Freedom Party (DFP) cabinet member; and, after 1988, Roosevelt ''Rosie" Douglas. With four seats in parliament, the DLP was the official opposition party to the Charles-DFP government in the late 1980s. The DLP again took four seats in the July 1990 election but was displaced as the official opposition party by the United Workers Party (UWP), which captured six seats. In June 1995 the DLP won five House seats on a third-place vote share of 29.6 percent. Douglas succeeded Brian Alleyne as leader of the opposition when a DFP seat was vacated in July 1995. In the 2000 elections the party regained power for the first time since 1975, winning 10 of the 21 seats and forming a coalition with the DFP, after which Roosevelt Rosie Douglas became Prime Minister. However, on 1 October 2000 Douglas died suddenly after only a few months in office and was replaced by Pierre Charles. On 6 January 2004, Charles, who had been suffering from heart problems since 2003, also died. After the death of Pierre Charles, Foreign Minister Osborne Riviere acted as Prime Minister, until Education Minister Roosevelt Skerrit was named political leader of the party and sworn in as Prime Minister. 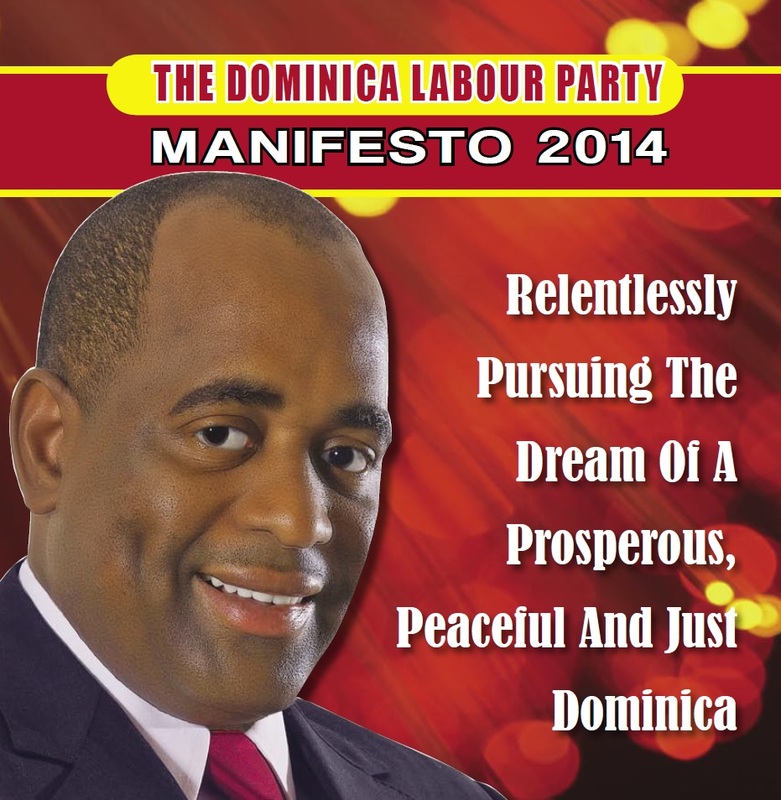 Under the leadership of Roosevelt Skerrit, the party won 12 seats in the 2005 elections and remained in office. In the 2009 general elections, the Dominica Labour Party scored a third consecutive victory winning 18 of the 21 seats, despite the opposition's claims of campaign improprieties.